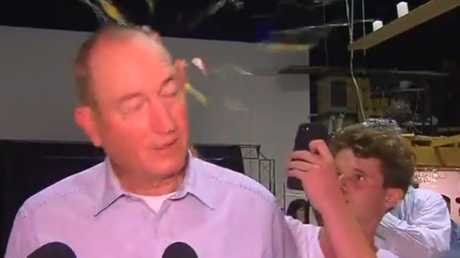 Fraser Anning is egged by 17 year old William Connolly #Eggboy. 'EGG Boy' Will Connolly has broken his silence, telling The Project egging Fraser Anning was "not the right thing to do". 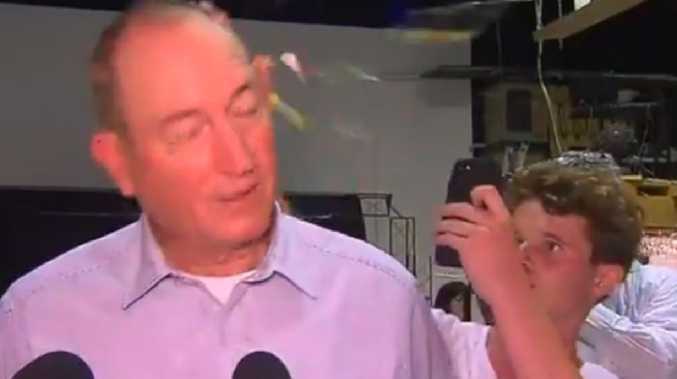 Will went viral in the wake of the Christchurch terror attack after the Melbourne teen egged Mr Anning at a press conference. 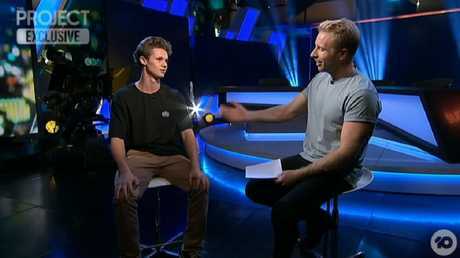 Speaking to Hamish Macdonald in an 'egg-clusive' interview on Mondaythe 17-year-old was contrite about his actions when the journalist asked if he deserved to be hit by the senator. "I understand what I did was not the right thing to do and I can understand why some people react the way they did," Will said. Will said there was "no reason to physically attack anyone" ever and his mother was "glad I stood up for what I believe in but she definitely disagrees with the way I did it". "I understand what I did was not the right thing to do, however, this egg has united people, and money has been raised, tens of thousands of dollars has been raised for those victims," he added. The teenager, who described himself as "pro-humanity" rather than political, said he had listened to the senator speak for an hour before deciding to egg him. "I didn't expect him to react, I thought I was just going to walk out there. I didn't think this was going to blow up," Will told Macdonald. "In fact, it's blown up completely out of proportion to the point where it's kind of embarrassing because too much of the attention is brought away from the real victims suffering, we should be focusing on them. "I was just going to show my mates, it was just meant to be a few laughs to mates." During the press conference the senator had been responding to criticism of a press release he sent out following the mosque shootings in New Zealand that killed 50 people. In his statement, which was widely condemned, Mr Anning appeared to blame immigration for the attack. 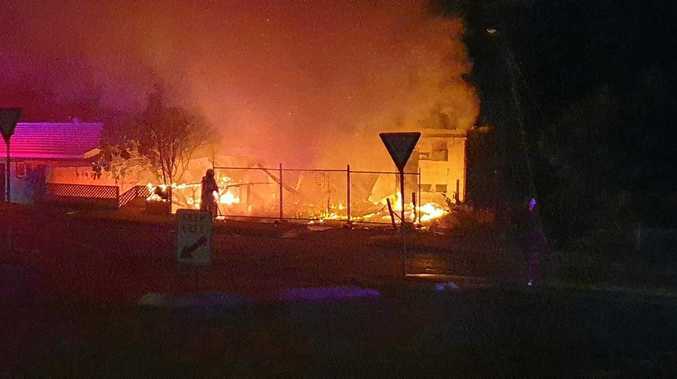 "This kind of violent vigilantism can never be justified, what it highlights is the growing fear within our community, both in Australia and New Zealand, of the increasing Muslim presence," the senator had said. After Will threw the egg at Mr Anning the politician turned and struck him with an open hand. Will told Macdonald Mr Anning's reaction happened "pretty fast" causing the teenager to just follow his instincts. "Did it hurt?" Macdonald asked. The teenager was then wrestled to the ground and held there by Mr Anning's far-right wing supporters - which included convicted criminal Neil Erickson - despite pleas to let the boy go as he was not resisting. "I just wanted to stay calm," Will said of the tense moment. "I knew not to resist, I knew police were not far (away)." Despite being inundated with offers of concert tickets, holidays and other free stuff, Will said he "hadn't had time" to think about it and was "not too sure" how he would respond. In one of the lighter moments of the interview, Will also revealed he had been known as Egg Boy before the Mr Anning incident but the nickname was now "getting pretty annoying". "I was always called Egg Boy," he said, revealing the name had stuck after he brought boiled eggs to school for lunch. 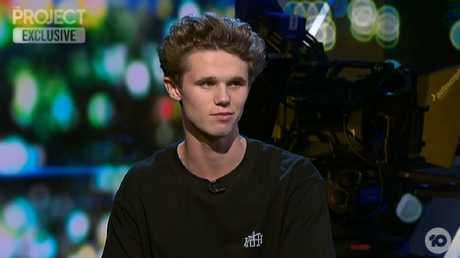 Will's Project interview was praised by viewers, who said the teen had acted wise beyond his years. Egg Boy also shared a statement to his Instagram, thanking people for their "overwhelming support". "I'm so proud to stand for what is right and I encourage everyone to stand up for what you all believe in," he wrote. "I do not condone violence and I do not condone egging someone, and everyone has a right to an opinion, but as I listened to Senator Anning for over an hour, I realised a point had to be made and if no one was going to do anything, then I was." He added: "The main focus here has to be the people who are suffering and the issue at hand, and I'm really happy it has united people the way it has." Immediately following the egging William had shared a Snapchat video in which he said: "Don't egg politicians, you get tackled by 30 bogans at the same time, I learnt the hard way. F**k."
Egg Boy was later questioned by Victoria Police over the incident and released without charge. Will's solicitor Peter Gordon said last week the teen won't pursue legal action against Mr Anning despite public outcry over the senator's reaction. A GoFundMe campaign was started in support of Will and to date has raised more than $79,000 to pay for "legal fees" and "more eggs," however, the teen has confirmed all money is going to the victims of the Christchurch attack. Mr Anning has said he had no regrets about his reaction to the egging as he had been defending himself. "I don't regret anything I do," he said. "I defended myself, that's what Australians do usually, they defend themselves … he got a slap across the face which is what his mother should have given him a long time ago because he's been misbehaving badly."